FAAC S800H is an integrated hydraulic automated system, permitting vehicle access through swing leaf gates which, when in-stalled invisibly in the ground, does not alter the appearance of the gate. The model with a hydraulic lock device does not require the installation of an electrical lock, as it guarantees the mechanical locking of the leaf when the motor is not operating. The model without a hydraulic lock device always requires one or more electrical locks to ensure the leaf is mechanically locked. The S800H automated systems were designed and built to automate swing leaf gates. Do not use for any other purpose. 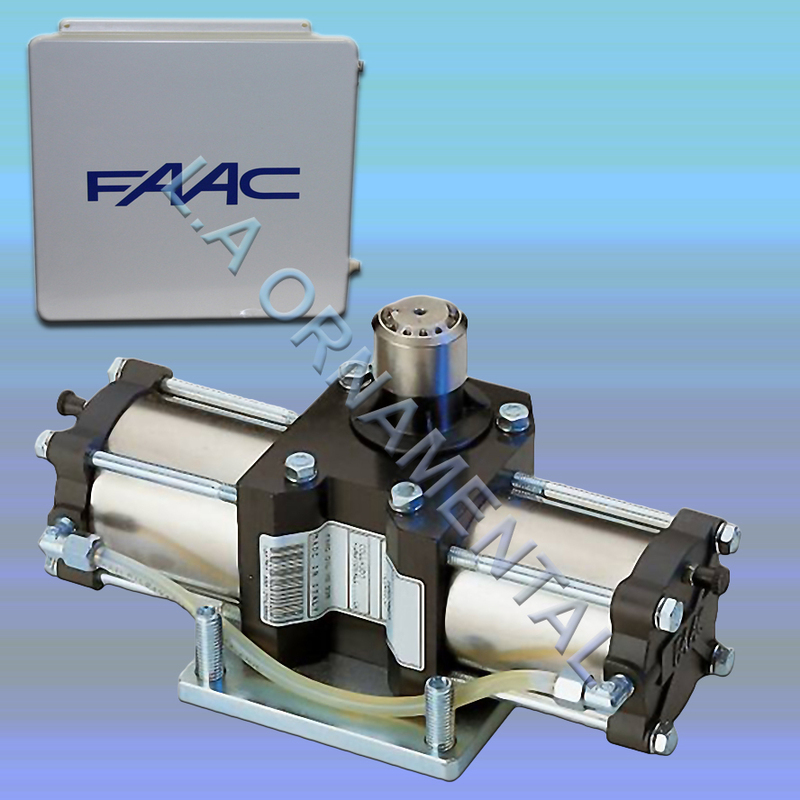 The FAAC 750 system is designed for gate leaves up to 3.5 meters in width and 800 kgs in weight. 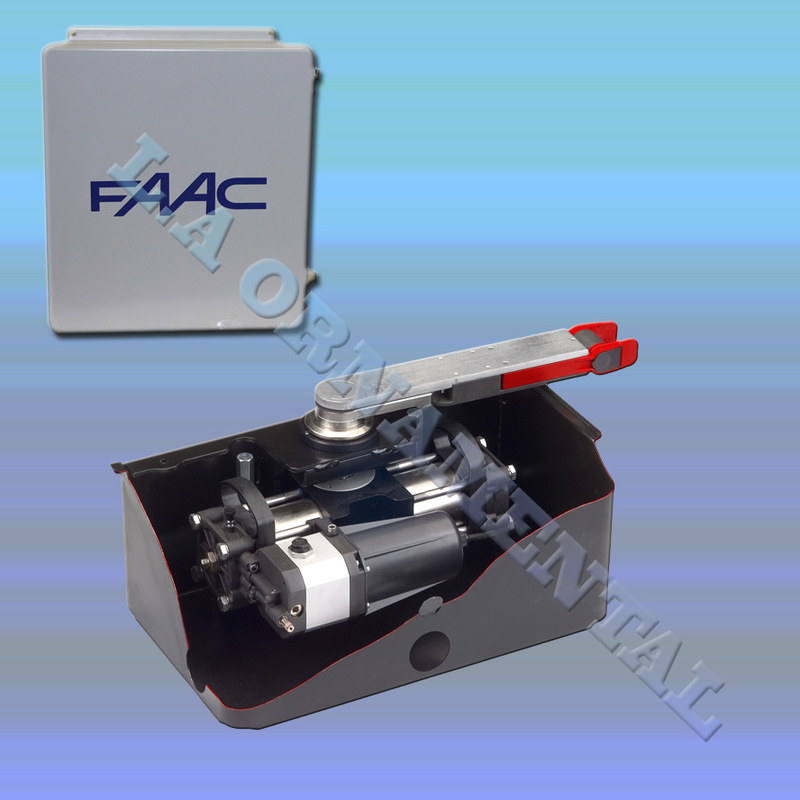 The hydraulic pump is available with or without hydraulic locking in open and closed position. The system is discreet, quiet, powerful and efficient. The standard version has the gate sitting on the drive unit which acts as the bottom hinge for the gate. The CP version has a load bearing foundation box that supports the gate and the drive unit is simply fitted into the box. This enables easy access for service and maintenance. The Model 760 hydraulic swing gate operator is designed specifically for underground installation in residential applications. Because of It’s power and invisibility, the 760 is ideal for large, ornamental gates. The 760 offers Voltage 115 VAC (2.5 A) or 230 VAC (1.5 A). The Model 760 includes the special feature of having both the power and pump units located underground. 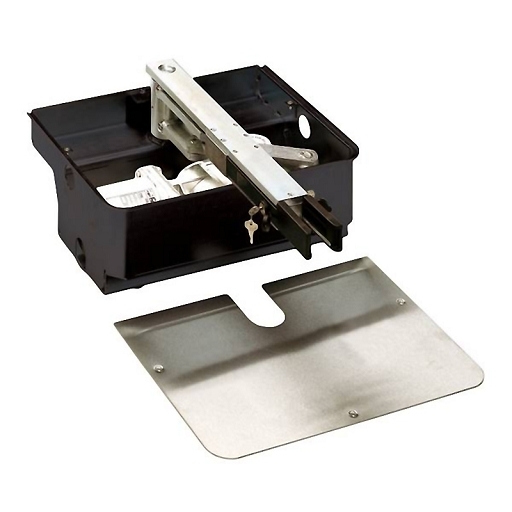 This integrated system results in simplified installation and maintenance, plus allows you to operate the manual release from inside or outside the gate. The 760 also comes with a “soft stop” feature which slows down the gate leaf at the end of travel. 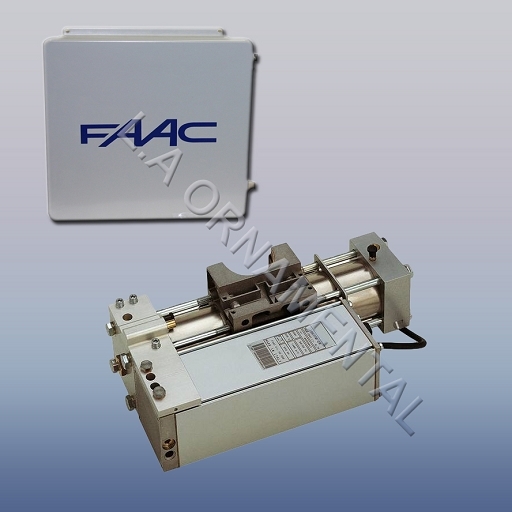 The FAAC 770 Compact automation system for swing gates is a geared motor. It is designed for underground installation and therefore does not alter the appearance of the leaf. The operators are controlled by an electronic control unit mounted in an enclosure which assures adequate protection against atmospheric agents. The leaves are normally closed. When the electronic control unit receives an open command from the remote radio control or any other control device, it activates the electromechanical system and causes the leaves to rotate by an angle of up to 110° to their open position, so as to allow access.